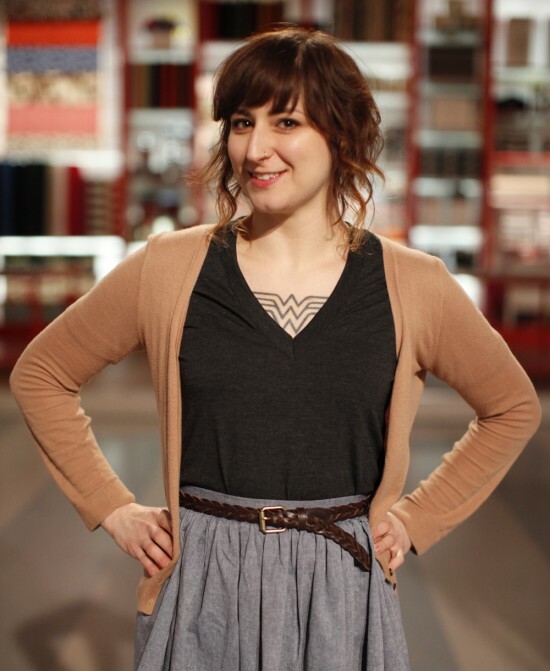 Fruitless Pursuits: Watch Steff Bomb on TLC's Craft Wars Tonight! Steff Bomb will be crafting in every one of our homes TONIGHT! Well, kind of. She's one of three crafters battling for $10,000 of Tori Spelling's hard earned money on TLC's Craft Wars. Tonight's episode is Thanksgiving themed, which immediately makes me want to see her design a plush Cornucopia. And we all know that would pretty much guarantee the $10,000 prize. Will there be any Star Wars references? Will there be any mentions of her Weezer Wonder Woman tattoo? Will she destroy the competition? Tune in at 11pm EST. No Star Wars or Weezer tattoo references, but yeah, she destroyed the competition. How could they compete when there was a food based theme? Congrats to Steff Bomb! I missed it, sadly, but how can anyone help but root for the awesome girl with the Wonder Woman tattoo who makes geeky plush toys?? I mean...2 words: PLUSH AT-AT!! !